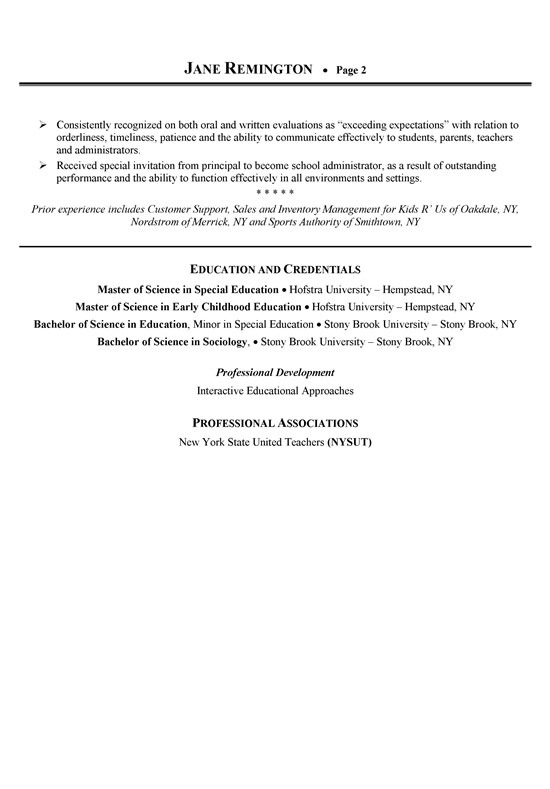 This example shows a career change resume for a professional transitioning from teaching to management. The resume is a good reference for anyone moving to a completely different industry and job title but using their transferable skills. Many job positions will have some elements of management, so it is common for professionals to make a career change into a business, retail or administrative manager job. The resume uses headline to focus the reader on the management profile. The resume also uses an executive summary that is ideal for a management position. The writer lists transferable Skills such as operations management, team leadership, policy administration, time management, vendor relationships, conflict resolution, counseling, coaching, motivation and business administration. The job section is written with duties in a paragraph format. The bullet points focus on accomplishments related to management such as organizing seminars, conducting training and spearheading programs. The career change candidate has a Masters degree and Bachelors degree in educational fields. Building an effective career change resume starts in the introductory section which includes the headline and summary. This is where you can control how the reader perceives your job experience. As you may realize, you can’t change your work history. But you can put a focus on transferable skills. Customer service professionals can emphasize their communications and client relationships when applying for sale positions. 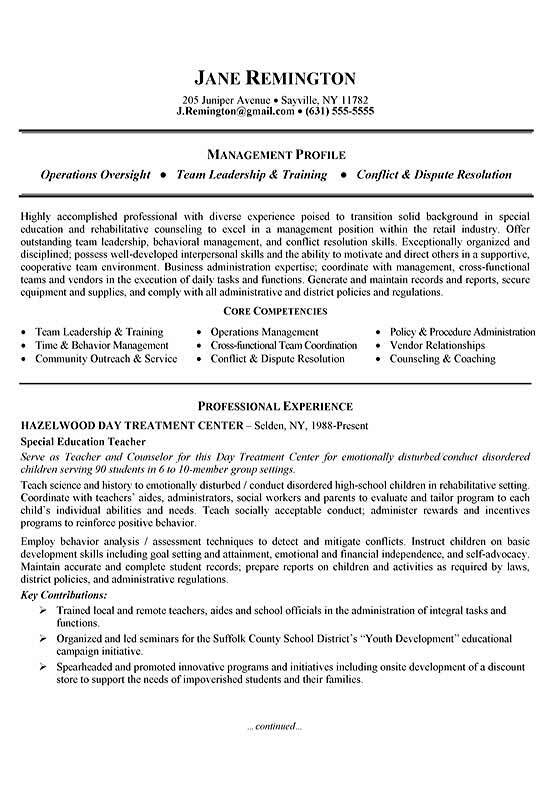 Like the resume above, the teacher that supervises children has many transferable skills that would apply to management. In some cases, past experience is not related to the new career. If this is the case, then you may need a new strategy. A functional resume that lists your professional skills will be more effective. Try to separate your skills into functional areas to make it easier for the reader to pick up. Then you can just list your jobs as work history without listing specific duties and achievements under each job heading.